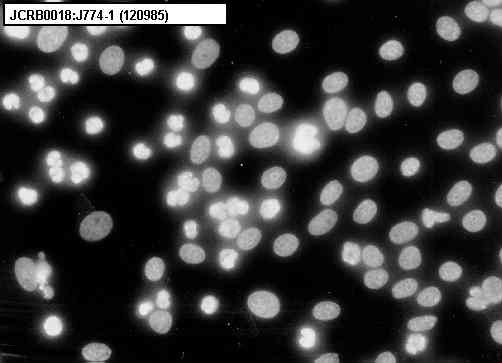 Produce large amount of lysozyme and IL-1. Carry receptors for immunoglobulin and complement. 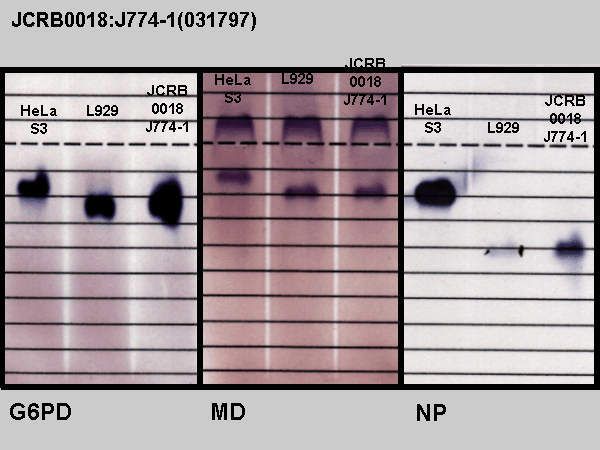 IL-1 productivity is different from the similar cell line, J774A.1 distributed from the ATCC. Intracellular killing of Listeria monocytogenes in the J774.1 macrophage-like cell line and the lipopolysaccharide (LPS)-resistant mutant LPS1916 cell line defective in the generation of reactive oxygen intermediates after LPS treatment. Improved detection of nitric oxide radical (NO.) 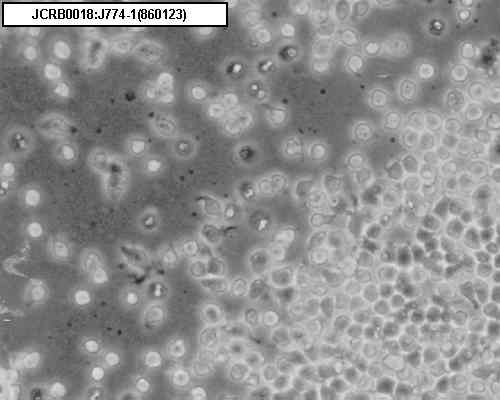 production in an activated macrophage culture with a radical scavenger, carboxy PTIO and Griess reagent. [Altered responses of the variants with defective or low epidermal growth factor receptor activity]. A lipopolysaccharide (LPS)-resistant mutant isolated from a macrophagelike cell line, J774.1, exhibits an altered activated-macrophage phenotype in response to LPS. Bacillus subtilis expressing a haemolysin gene from Listeria monocytogenes can grow in mammalian cells. A prelysosomal compartment sequesters membrane-impermeant fluorescent dyes from the cytoplasmic matrix of J774 macrophages. 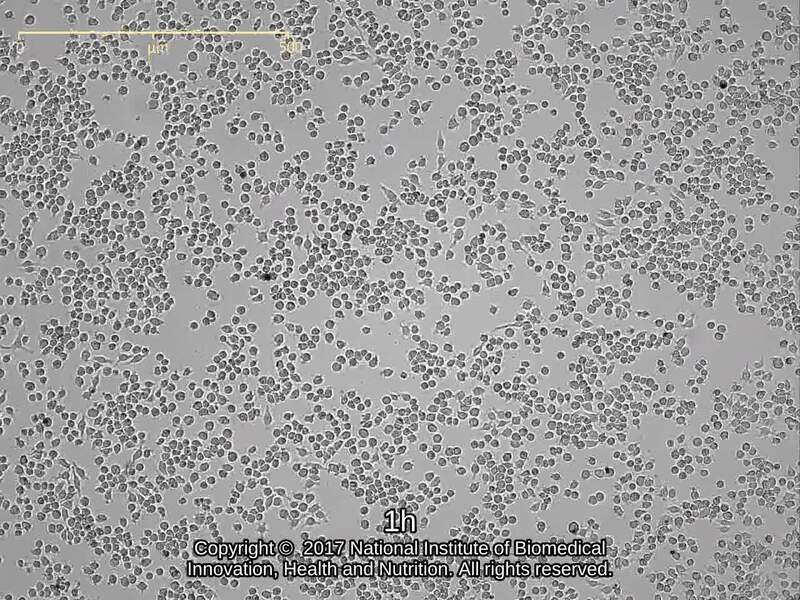 Phagocytosis and cytolysis by a macrophage tumour and its cloned cell line. Differences in interleukin-1β release-inducing activity of Candida albicans toward dendritic cells and macrophages. RPMI1640 medium (090892) with 10% fetal calf serum(Hyclone 1115972). 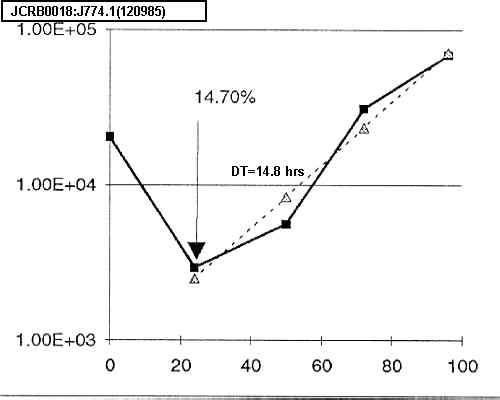 Cells were harvested by pipetting, or by treatment with 0.25% trypsin and 0.02% EDTA.